This is some pretty awesome tech even if you're not a "Final Fantasy" fan. 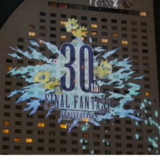 Final Fantasy’s 30th anniversary passed recently, and with it Square Enix celebrated the occasion by holding a special projection event in Japan. Hit the jump to see it in action! You've never seen R. Mika like this before! On Capcom Unity, several new costumes have been revealed for Street Fighter V. If you’re into the schoolgirl/boy look these will be right up your alley. 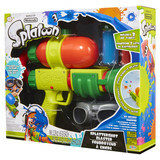 Get your own Splatoon Splattershot Blaster and Mini coming to stores soon. 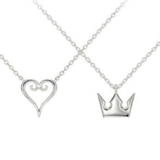 Better shell out the big bucks for this new "Kingdom Hearts" jewelry. The Kingdom Hearts video game series has just turned 15 this year, and with it the jewelry brand U-Treasure is bringing a brand new set of gorgeous jewelry to mark the occasion. So if you’re a big fan looking to pop the question with an engagement ring or just want to shower a Kingdom Hearts fan you know with nice jewelry, this line is your answer. Hit the jump for more! Looking for more Mega Pokemon to add to your arsenal? Look no further! 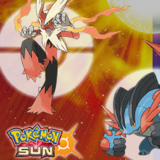 Pokemon Sun and Moon players can now use a special code to access five Mega Stones, all which can be used for several evolutions, including Sceptilite, Blazikenite, Swampertite, Banettite, and Cameruptite. Hit the jump for more details on how you can get and use these Mega Stones! Superfans, make sure you snap up this version! 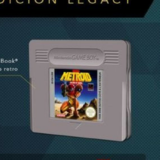 Metroid: Samus Returns is getting a collector's edition in North America, but it truly pales in comparison to what Europe is getting. In fact, it's a low-down, dirty shame. Hit the jump to take a look! Write in style with these Doraemon paper goods! 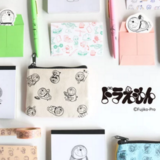 GreenFlash already makes a series of absolutely adorable stationery, and its latest project revolves all around everyone's favorite robotic cat, Doraemon. Hit the jump to see more! Itsuno has a new project coming that wasn't at E3, but he's offered a progress update on Twitter. 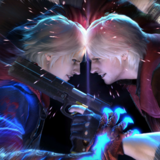 Previously, game director Hideaki Itsuno announced that he was working on a brand new game. He didn’t offer any additional details other than that, but that was back in January. He was curiously absent from E3 2017, however, and fans no doubt took notice of this. Hit the jump for a few more details on what Itsuno is up to! 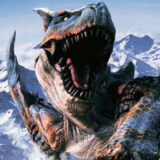 Because you can never have too much "Monster Hunter" in your life! Just ahead of E3 2017, Capcom has filed a trademark for a game called Monster Hunter: World in the United States and Norway. Hit the jump for additional tidbits! They're only available in Japan right now, but true love waits! If you love the Neo Geo enough to wear an article of clothing that isn’t a T-shirt emblazoned with icons of the famous console, then we’ve got the shorts for you. 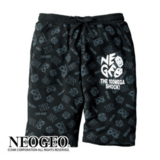 There’s a special pair of shorts with the Neo Geo logo all over them that are manufactured by Neo Geo! Hit the jump to give them a look! 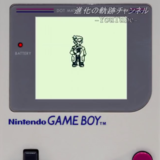 A Japanese Pokémon fan has put together a stunning retrospective on the main series. It’d be easy to be fooled into thinking this is something The Pokémon Company made themselves, but it’s the world of the 進化の軌跡チャンネル YouTube channel. This look back at the series includes every main entry of Pokémon (no Stadiums or Rangers, etc.) and really puts into perspective how far the series has come. Hit the jump to take a look! 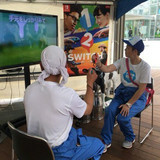 Japan's Milk Day festivities at Roppongi Ranch look like a ton of fun, especially with Nintendo's involvement. In Japan, June 1 is Milk Day, a commemoration of all things dairy and the men and women who make dairy products possible. Nintendo got in on the celebration this year in an entirely wonderful way using 1-2 Switch. Read more after the jump! Let Kero and Suppi keep your hands from being burned! Not everyone can be a magical girl, but everyone needs a pair of oven mitts to protect their hands when cooking! 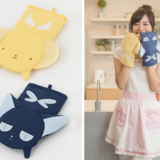 That’s why you need these Kero-chan and Suppi oven mitts that are dedicated to keeping your hands cool when handling hot things straight out of the oven. Hit the jump to take a look! Studio Ghibli fans would love to add this doll to their collection. Studio Ghibli has been offering some killer merchandise over the last few months, and its latest release is no different. 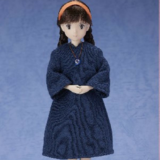 Takara Tomy is bringing out a special Licca-chan doll (a doll wit the popularity of Barbie in Japan) that looks like the protagonist Sheeta from the Studio Ghibli film Castle in the Sky. Hit the jump to take a look! 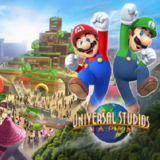 Nintendo registers possibly related service copyright in the U.S.
Universal Studios and Nintendo have joined forces to bring the masses a Nintendo-themed part: Super Nintendo World. It’s great news for fans, but we don’t know a lot about it just yet. However, there’s one important thing that we do know that’s a rumor for now: It could very well include a real-life version of Mario Kart. Hit the jump for more info!